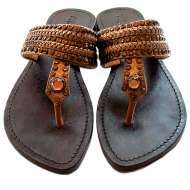 Mystique sandals were dreamt up by husband and wife team Yamin and Dorien Levy in the Indonesian Islands where they live. 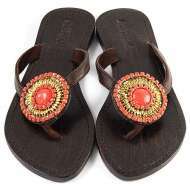 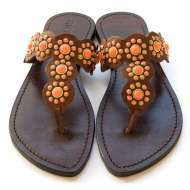 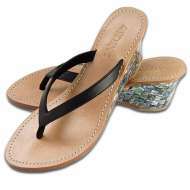 Their passion for the islands have inspired most of the beautiful shell, sequin, beaded, and fine leather designs. 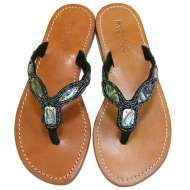 These jeweled sandals continue to keep their fierce fan-base attentive with every passing season.